Notes from A Cottage Industry: Creating a better world with cookies and milk. Creating a better world with cookies and milk. 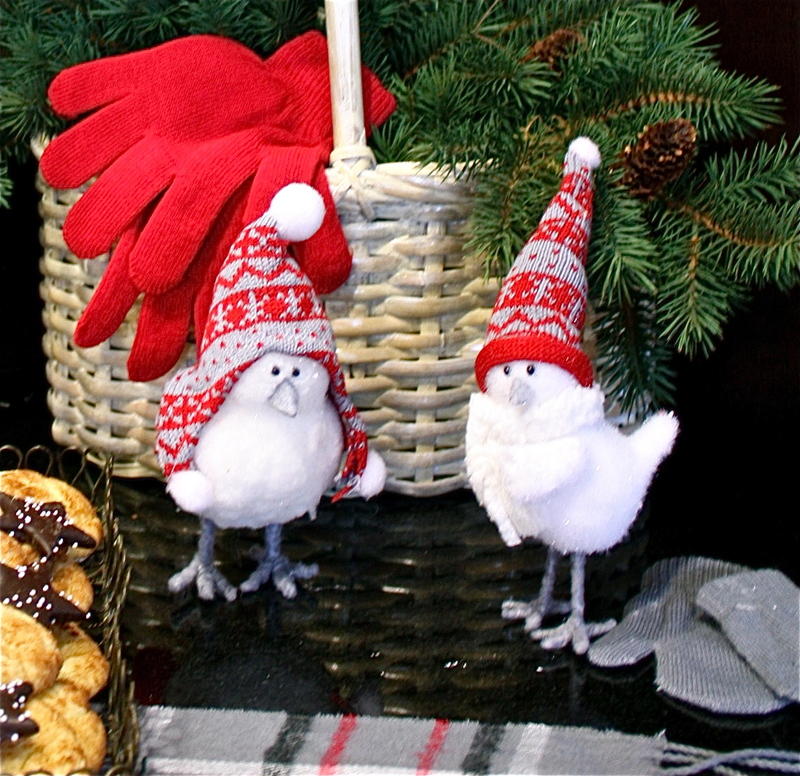 Christmas decorating isn't only reserved for your home, you know. We are having so much fun at work this week! We're decking the halls...er....the main lobby areas on two floors, along with the reception area...for Christmas! 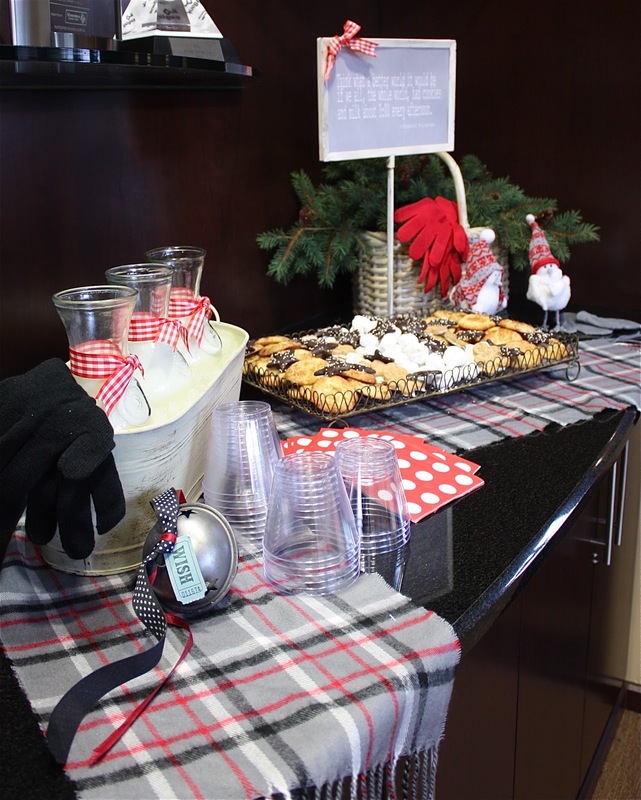 To kick off the festivities on Monday afternoon we had Christmas music playing, and I decided to offer up a lil' buffet of milk and cookies. (in case you can't read it in the photo: Think what a better world it would be if we all - the whole world - had cookies and milk about three o'clock every afternoon...Robert Fulgum) and I invited them to help create a better world by stopping by the reception area for a treat. So, how's your work space looking this Christmas season? What do you do to add some cheer? I'd love to hear!